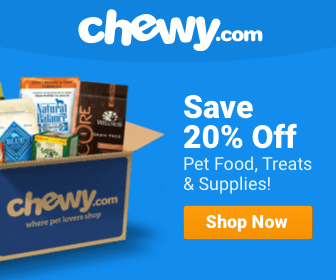 Freeze-dried food for a dog’s diet? Who’d have ever thought of that! What is it? Well, the freeze-drying process comes from freshly cooked foods such as wild-caught fish and other organic ingredients, with almost all the water removed. The resulting light and dry product are packaged in airtight containers. Freeze-dried dog food can stay fresh for years as long as it remains sealed. This is a great alternative to cooking your dog’s food or preparing everything fresh, which is so time-consuming. Here are the top freeze-dried dog foods you can find. K9 Natural offers your dog the nutrition and ingredients its most closely related wild cousin—the wolf—would love. The recipe contains 85% raw meat, blood, crushed bone, blood, and a small amount of organ meat. The meat comes from free-range, grass-fed, and hormone-free New Zealand livestock. The remaining 15% is made of fresh fruits and vegetables. K9 uses no additives, wheat, cereal, artificial preservatives, rice, or corn. Honest Kitchen is a family-owned company that has been providing freeze-dried food for more than 15 years. Honest Kitchen’s made in the USA formulas include free-range chicken, garden produce and organic barley. Honest Kitchen formulas never have preservatives, by-products, or GMOs. Stella and Chewy’s is USA-made, non-GMO dog food made only from sustainably-sourced ingredients. The Beef recipe begins with 95% grass-fed beef, organs, and crushed bone, the wild diet your dog is hungry for. Stella and Chewy’s also uses 100%-certified organic fruits and vegetables. Rawz is a meal-free, dehydrated dog food that uses only the high-quality protein your dog desires in a meal. The Reg recipe includes chicken, chicken liver, turkey, turkey liver, and turkey hearts. In addition, Rawz donates 10% of its profits to the keeping and training of service dogs. Bravo! Freeze-dried foods are made from all-natural ingredients. Raw, freeze-dried meat is always the first ingredient, and then Bravo! adds fresh veggies and cranberries. These dinners include vitamins and minerals for a balanced diet and never contain antibiotics, hormones, artificial preservatives, colors, or flavors. Primal Freeze sounds just like its name! The meat in Primal Freeze is hormone-, antibiotic-, and steroid-free meat and organs, along with fresh ground bone. The recipe also includes certified organic produce, unrefined vitamins and certified organic minerals for balanced nutrition. Amino acids and fatty acids are provided at optimal levels and everything is made in the USA with no wheat, corn, or grain fillers. TruDog recipes are made from free-range Wisconsin grass-fed beef, cage-free turkey, meaty bones, and whole organ meats. TruDog never uses grains, fillers, preservatives or coloring in any of its products. TruDog gives your pet a balanced, nutritious meal made in the USA. Grandma Lucy’s not only offers freeze-dried dog food but treats and toppers too! Grandma Lucy’s Artisan dog food is made with high-quality ingredients, inspected for optimal quality and prepared at the family-owned California factory. Grandma Lucy’s carefully chooses all ingredients with your dog’s health in mind. Sojos is a vet recommended, high-quality freeze-dried pet food. Raw turkey, beef, lamb, wild salmon, or venison is the first ingredient to give your dog the protein his muscles beg for. The recipe is flavored with whole eggs, flaxseeds, sweet potatoes and more. To provide the best, overall well-being for your dog, the recipes include cranberries, apples, ginger, kelp, alfalfa, and fiber-rich pumpkin. Sojos never uses GMOs, fillers, soy, or artificial colors, flavors or preservatives. This made in the USA product never uses anything from China. This made in the USA freeze-dried food can be served alone or mixed in with kibble. All ingredients are locally sourced from the heartland and offer recipes with turkey, duck, beef, and chicken. The recipe includes crushed bone and organ meats for optimal protein content. Vita-Essentials never uses fillers, glutens, or grains. Merrick’s Backcountry offers freeze-dried, high-quality recipes with real fruits and vegetables, essential vitamins and nutrients, and protein sources like beef, chicken, lamb, rabbit, turkey, duck, salmon, whitefish, wild boar, venison, trout, and even quail! Merrick’s also adds natural fruits and vegetables like apples, blueberries, sweet potatoes, and peas for extra fiber and other vital nutrients and fiber. All recipes are grain-free with no artificial colors, flavors, or additives. Now that we’ve done some comparing, what are the greatest benefits of following freeze-dried diets? The primary benefit is the ingredients. Freeze-dried foods typically include muscle meat, organs, ground bones, fruits, and vegetables. Nearly every brand is grain-free and gluten-free. It is also rare to find freeze-dried food with any kind of additives. Most freeze-dried advocates use it as a substitute for a raw diet. Raw diets are labor intensive and handling raw meat can be dangerous to humans. The freeze-dried diet provides raw food with safety and convenience. It also has an amazingly long shelf-life. These foods can last for years, which makes them good to have around in emergencies. If you are snowed in or homebound by other bad weather, you never have to worry about feeding your dog if you have freeze-dried food on hand. Freeze-dried options also include toppers and treats. 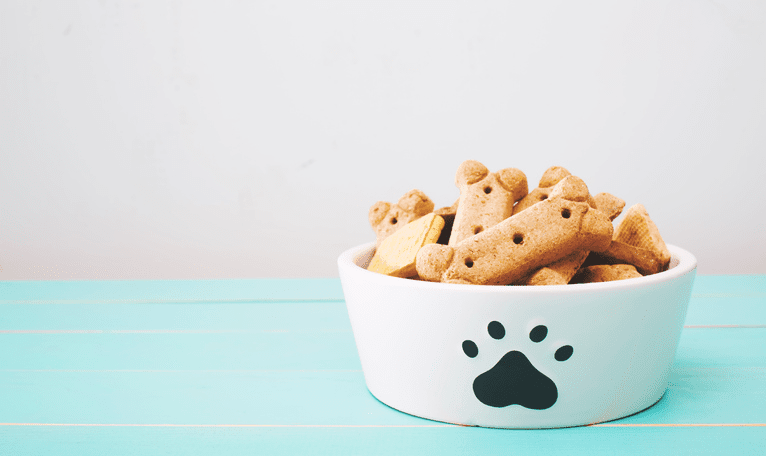 If you find you don’t have the budget for a full freeze-dried diet, think about adding toppers to your dog’s regular food or consider freeze-dried treats. The option of freeze-dried dog food can be a good one. 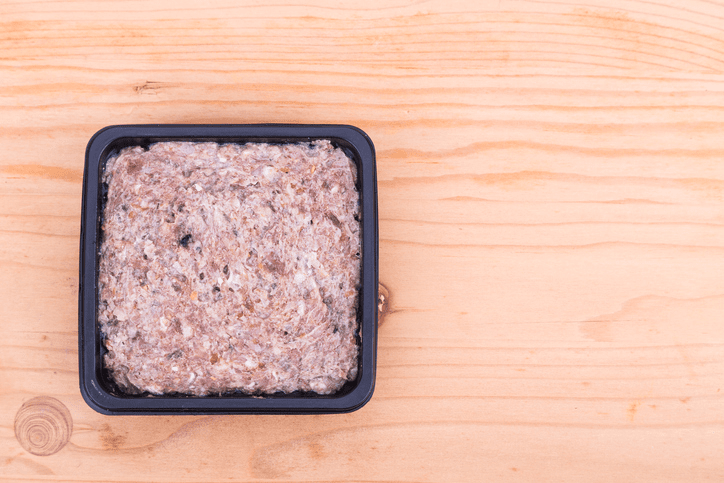 If you are serious about giving your pet a raw diet, but you don’t have the time it takes to provide a proper raw diet, then freeze-dried might be your answer. 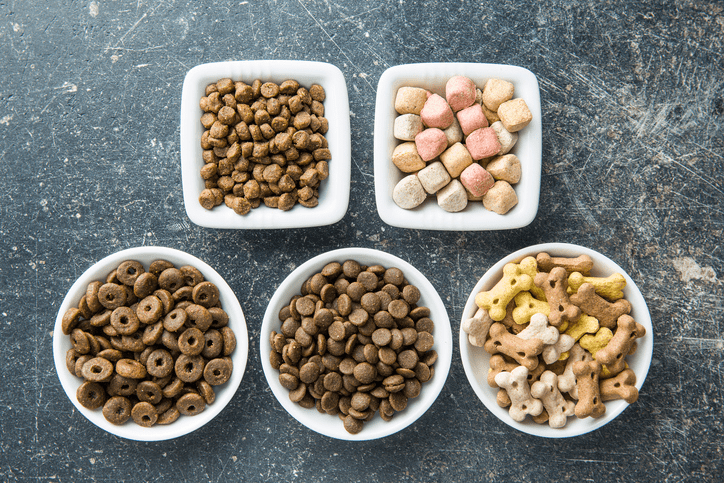 While traditional kibble or canned food may seem like the smartest choice, there is nothing wrong with experimenting to see if your dog likes freeze-dried meals as they have more natural ingredients and better nutritional value.